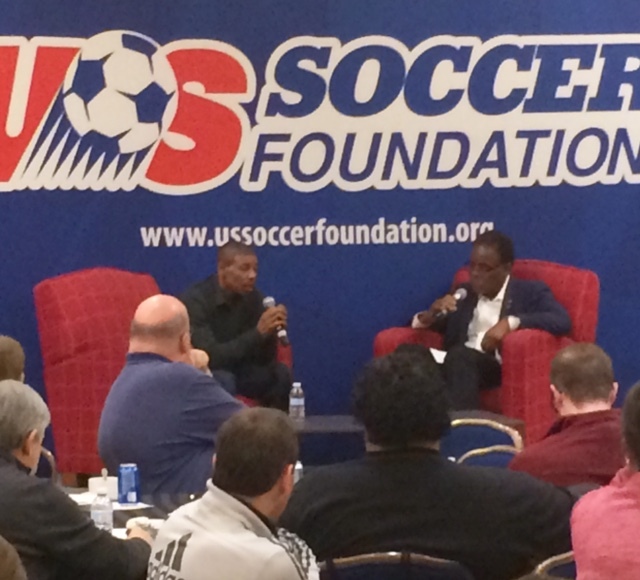 On March 11-14th, we hosted the 10th annual Urban Soccer Symposium in Washington, DC. It was an inspirational weekend filled with learning, enthusiasm, and motivation. The Symposium kicked off with an encouraging discussion with Dr. Marcella Wilson, CEO and Founder of Transition to Success™. She talked about viewing poverty as a treatable condition and how her Transition to Success™ program coordinates components for self-sufficiency, such as literacy, an education, and basic needs. 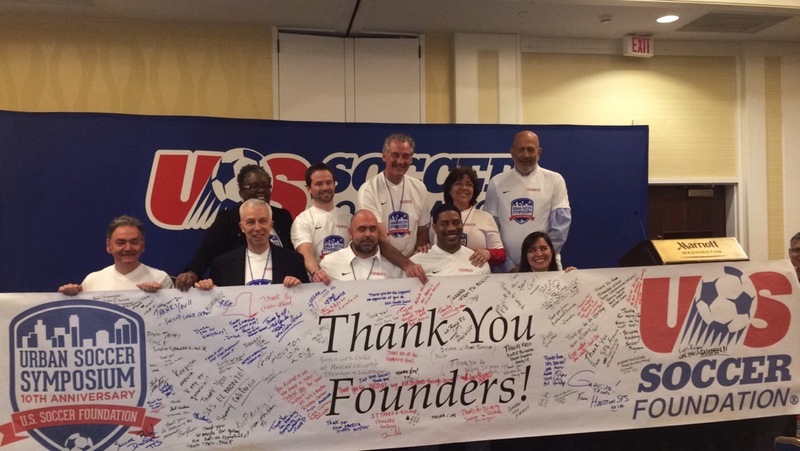 The inspiration continued as attendees gathered together to celebrate the 11 original founders of the Symposium, who tirelessly created a space to celebrate and grow the sports-based youth development movement. The afternoon was filled with innovative sessions on topics varying from examining sustainability, to friend-raising. The first day concluded with a poster session in which organizations and attendees showcased their work and networked with their peers. The second day of the Symposium began with a heartfelt speech by Reverend Jeffrey Brown, President of Rebuilding Every Community Around Peace (RECAP), about how he reduced violence in his Boston community through urban collaborative efforts. Later, attendees celebrated #ADecadeOfChange in honor of the Symposium's 10th anniversary with confetti, timeline recaps, and building creative representations of what #ADecadeOfChange meant to them. The first female NFL coach and Sport Psychologist, Dr. Jen Welter, launched our third conference day by speaking about the power of opportunity and the importance of passion and teamwork. 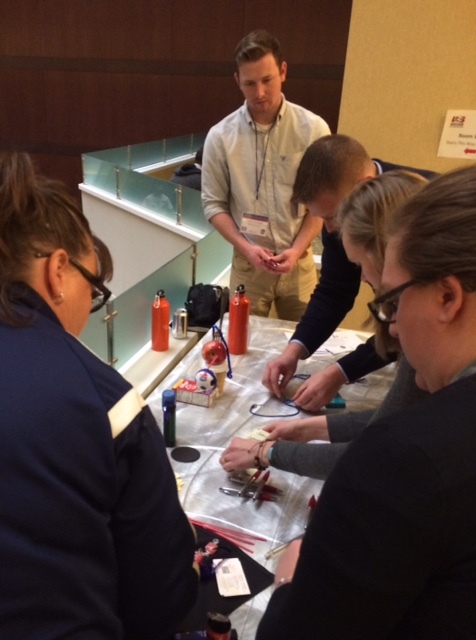 Engaging sessions on topics such as grassroots growth and the power of play followed. Later, NBA star Muggsy Bogues shared his story of growing up in a challenging, underserved community and how his coaches and neighborhood recreation center changed his life. "The rec center was like a safe haven for us...It kept us focused. It kept our mind more active in terms of thinking [that] it is possible [that] we can get out of this situation and in terms of basketball." He shared the importance of believing in yourself starting in childhood and emphasized the power coaches have in helping to shape kids' lives for the better. 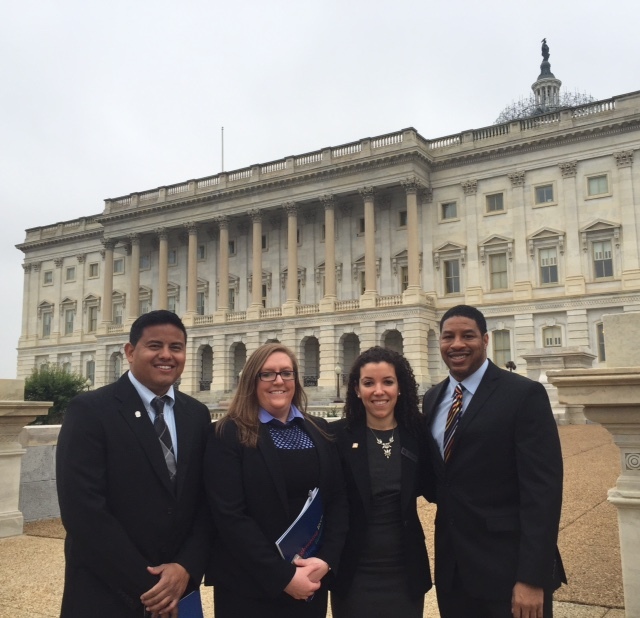 We concluded the Symposium with Capitol Hill Day - during which Symposium participants met with Congressional representatives on Capitol Hill. Attendees were able to develop relationships with their elected leaders and educate officials on funding priorities important to their organizations. We would like to thank the Symposium's presenting sponsor, Soccer Shots, and our partners for their support. In addition, we would like to thank all of the presenters and attendees for participating and helping to make the event special. We'd like to especially thank the founders of the Symposium, who have not only created this space, but have inspired us to push forward for the next 10 years. We look forward to the 2017 Symposium!